If you enjoy games like Harvest Moon and Stardew valley and want something new to scratch that itch, you should have a look at My Time At Portia. 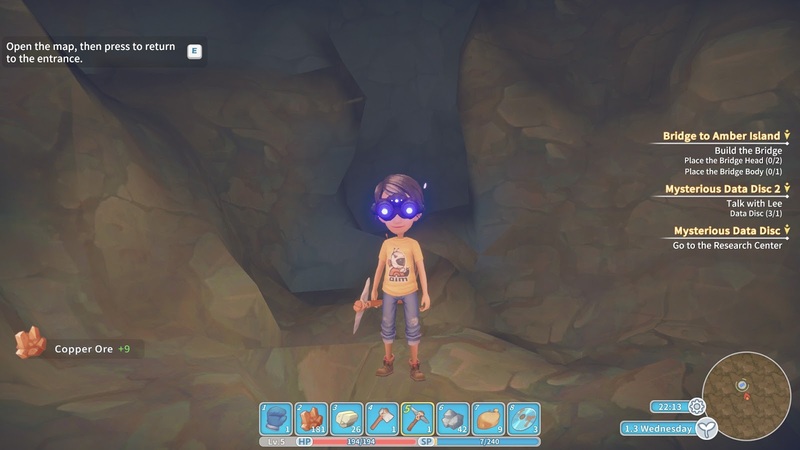 Developed by Chinese team Pathea Games (Planet Explorers) and published by UK gaming veterans Team 17 (Alien Breed, Worms, Overcooked) the game is currently in Early Access for PC with plans for future console (PS4 and Switch) releases after this phase is complete. When you first load the game you have a range of character customisation options. Firstly you can choose either a male or female character and then you can get really deep into the customisation. 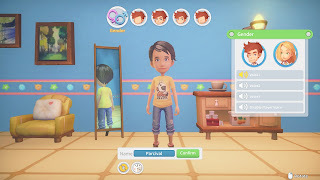 You have options for hair style, including fully flexible colouring, and tons of options for facial customisation ranging from size and position of eyes to width and length of chin, all on variable sliders and even a few voice options. Once you have decided on your look and you start the game you are greeted with the familiar cutscene. 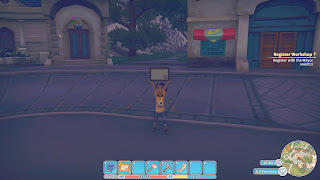 Your character arrives in Portia from a far away land to discover they have inherited a workshop from their long lost father. The first day or two are spent with orientation type missions to get your builders license, introducing the basic crafting mechanics for small items using the workbench, and larger items using the assembly station, and how to get jobs via the Commerce Guild. Taking these commissions will likely be your main source of income, but there are also times where these will drive the story. After gaining your builders license and registering your workshop with the mayor, you get your first big project - to build a bridge from the town to Amber Island in the river. 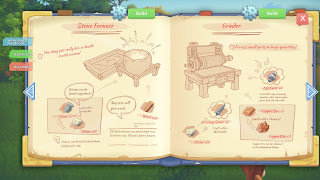 This will require some planning and the crafting of some storage boxes for your yard (you can colour code these to help with inventory management as you progress through the game and discover pigments) and start to build up your collection of manufacture equipment, such as a civil cutter for making planks and a grinder for metalworking. To make these objects you will also need to venture into the Abandoned Ruins near the church. This is where you will do mining for ores, stone and special parts. To enter the ruins you need to pay a weekly ‘maintenance fee’ of 200 Gols (80 Gols for your first week) and you will have access to a jetpack and a relic scanner. The first of these is obvious, it allows you to jump back out of deep holes. The relic scanner is a nice mechanic where you are able to see where in the cave there are special items. These are shown as a yellow dot and if you look at it for a few second the location is saved so you can mine towards it. These may give you any of a number of items including power stones (fuel for some of your crafting equipment), furniture which can give buffs to your house, manufacturing parts and relic parts. Data Discs and relic parts can be taken to the research centre in town. In exchange for data discs you will get new blueprints for your workbook after a few days. The blueprints you will get depend on how many discs you hand in, with blueprints available for 3, 5, 6, 10 and 20 discs. If you have all the parts for a relic (anywhere between 2 and 5) and the required number of data discs these can be restored using the recovery machine in the research centre. These relics can then be placed in your home for buffs, or donated to the museum for reputation. Alternatively you can turn in discs to The Church of The Light who are concerned about some of the technology of the Old World and will give you green technology, special seeds, in return for giving them discs to be destroyed. 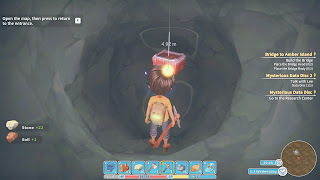 In addition to building items, you are able to take part in other activities depending on your play style including farming crops, raising animals and exploring a relationship system, including marriage and divorce, with the people of Portia. As you would expect you start the game with no materials or tools and just a small house and plot of land. Through gathering and crafting you can raise Gols with which you can purchase upgrades to your workshop providing more space to build and also increase the size of your house, allowing more furniture to be placed. As the game progresses through Early Access we will come back and look at some of these mechanics in more detail. The devs have been quite responsive to the players and have made a point of adding a lot of additional content and game mechanics with each update including adding the desert, animal rearing and also riding. The only downside is that the game can be quite hardware intensive and the graphical style is quite deceiving on that point. It does mean that at time there can be FPS drops and also in some areas the cursor feels less responsive. The drops have decreased a lot after the most recent update and performance is definitely a lot better than where it was 6 months ago and I would recommend the game if you are the sort of person who doesn’t mind a game running at about 30 FPS. 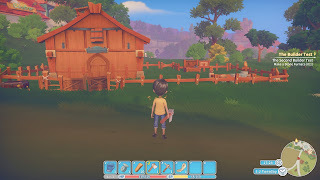 My Time At Portia is available on Steam Early Access for £15.99 with a demo also available from the Steam Store page.